Mommy Moments with Abby's review of LaVender Cosmetic: I love the scent of Lavendar. It is a universally easy to blend scent. Most people enjoy it and it makes for a great gift. I like to have products like these on hand for last minute gifts you didn't plan for or forgot about and for those you know that could use a little self pampering. I love that the ingredients of these are natural. This makes them not only great smelling but easy on the skin. The facial soap has olive oil in it to help not only clean but moisturize the skin. The Facial Cream with Olive Oil acts as a great back up to the soap. It is perfect for sensitive skin. It has a creme texture, thick, and smooth. I recommend using it after the Facial Serum. The three combine make a great daily regimen for your face. The soap, foot cream and deodorant are great ways to help you stink less. The deodorant went on smoothly and after a little fanning dried well. The Foot cream not only helped my poor dry feet get some relief from this desert air, but they smelled good as well. The soap took a little bit to lather due to the natural products, but it did lather and smelled amazing. It is a great soap to get the rest of your body clean and smelling sweet. Put together it made for a great and relaxing bath! You can check out this company on Facebook. LaVender Cosmetic manufacture 100% Natural Cosmetic, very different from any other cosmetic you've known. We want our customer to feel the difference by themselves and that’s why we make this wonderful Welcome ValuePack at special price of 9.99$ including P&P (retail price 32$). The value Pack includes 7 products from our wide selection in special sizes for you to enjoy. 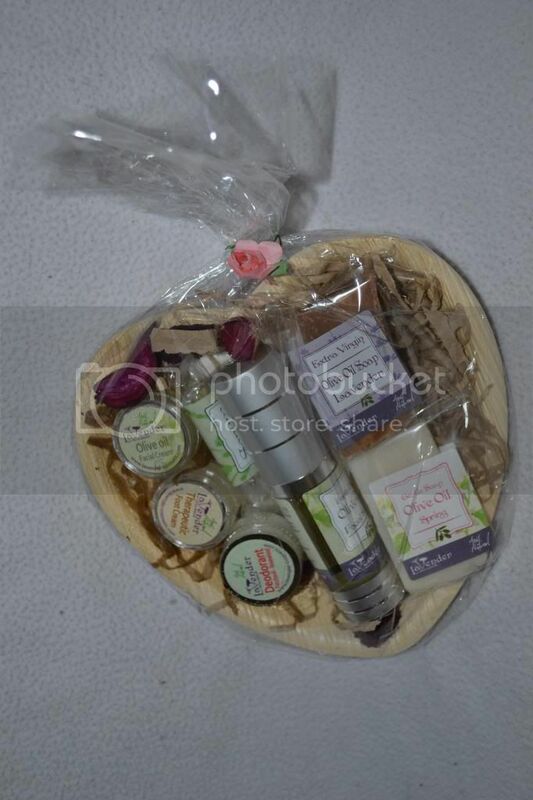 You also can send it as a gift - The Value Pack will be sent in a natural palm leaf gift pack. Facial Olive Oil cream to treat your sensitive facial skin (0.2 Oz). Spring Olive Oil soap with Neroli Essential oil that will make you fill the spring every day (1 Oz).